Did you people know that H&M sells housewares? H&M, short for the founder’s names – Hennes & Mauritz, is a Swedish multinational retail-clothing company, known for its fast-fashion clothing for men, women, teenagers and children. Think of it as the “Ikea” of clothing stores. Anyhoo, check these bad boys out. 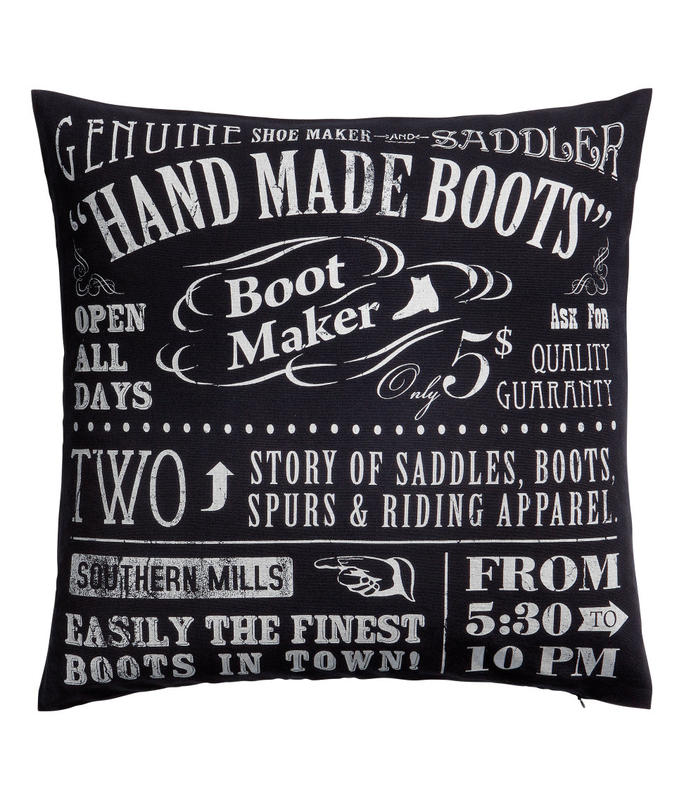 I know, I know…I have a serious pillow addiction. I can even sew my own in a jiffy. 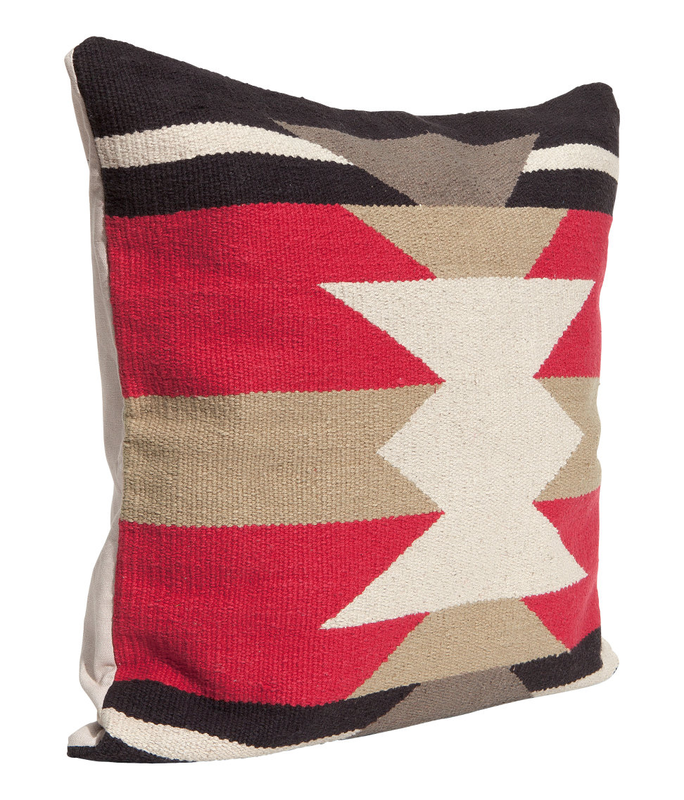 But these are so cool…..
Can never have enough Navajo. Am I right? 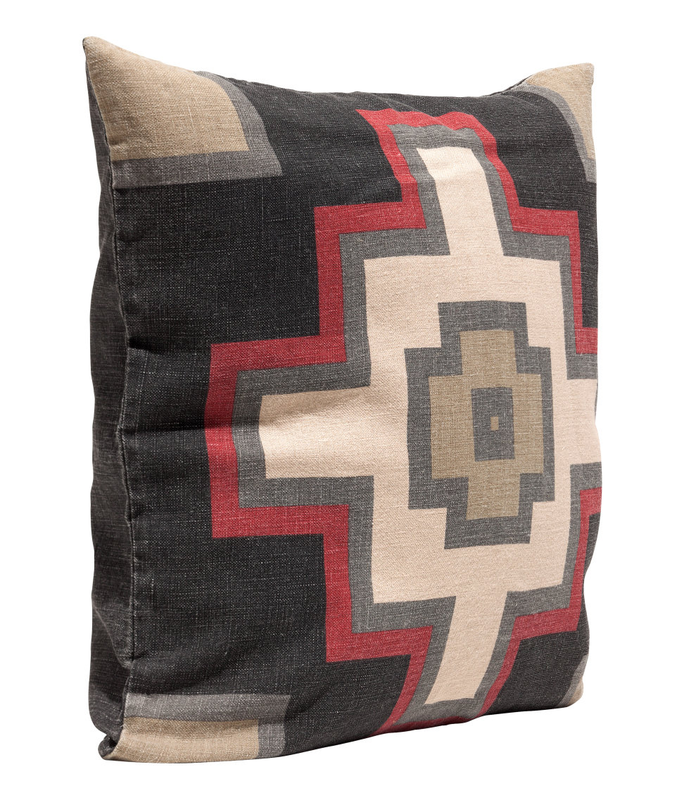 This Navajo Cross printed linen pillow cover is 20 inches square and $17.95. Here’s another 20 inch square cotton cover. Just under 10 bucks. and doning a ……..(severed?) Horse Head. For under 18 bucks? You betcha. This 20 inch one is a thick cotton jaquared weave on the front and solid canvas on the back. Best for last, ……..best for last. Oh yeah, and just under 15 bones. I have to mention, these are just covers…..not the inserts. We have plenty of those anyway. 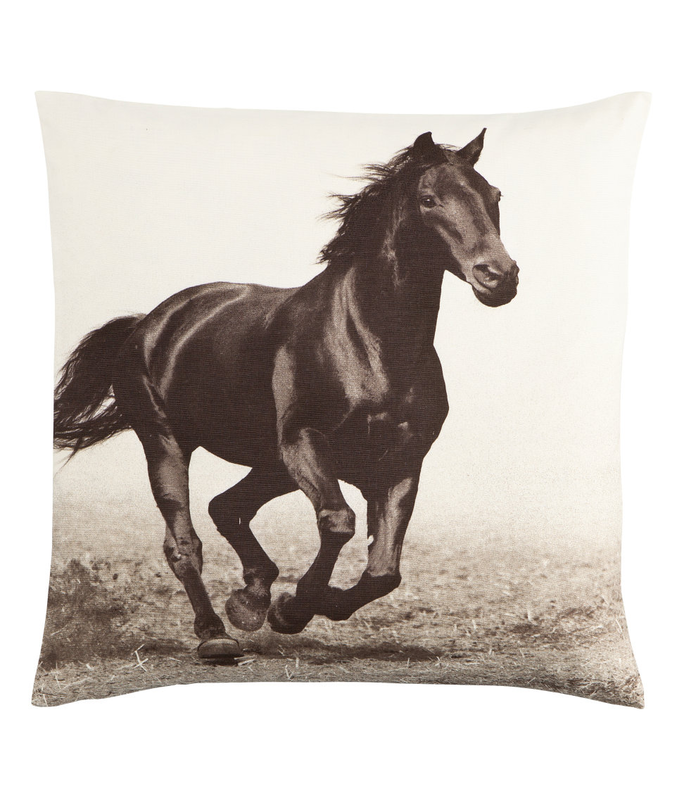 Most everything else on the H&M home site is kinda girly…country french even. 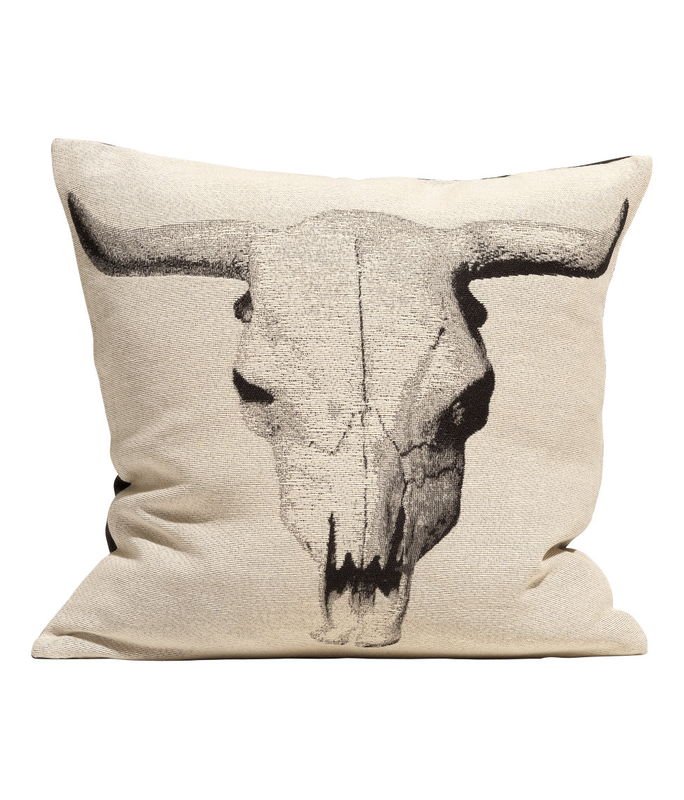 But I found a few things to like in the Urban Western collection, and y’all might aslo. Thank you soooooooooooooo much. I love the H&M site. So much that I ordered pillows, towels and hangers immediately. Love your site, too. Glad that you like the H&M site, and ours too of course, the stores are always too busy for me to stomach…….but website, pretty easy to shop on. You ALWAYS find the coolest stuff! I’ve got my “bag” full of those pillows and going to see what else I can find. I love reading your entertaining BLOG and always have to link to where you send me! BTW I saw some of those little plastic Indians at Warrenton-Antique week yesterday…thought of you. 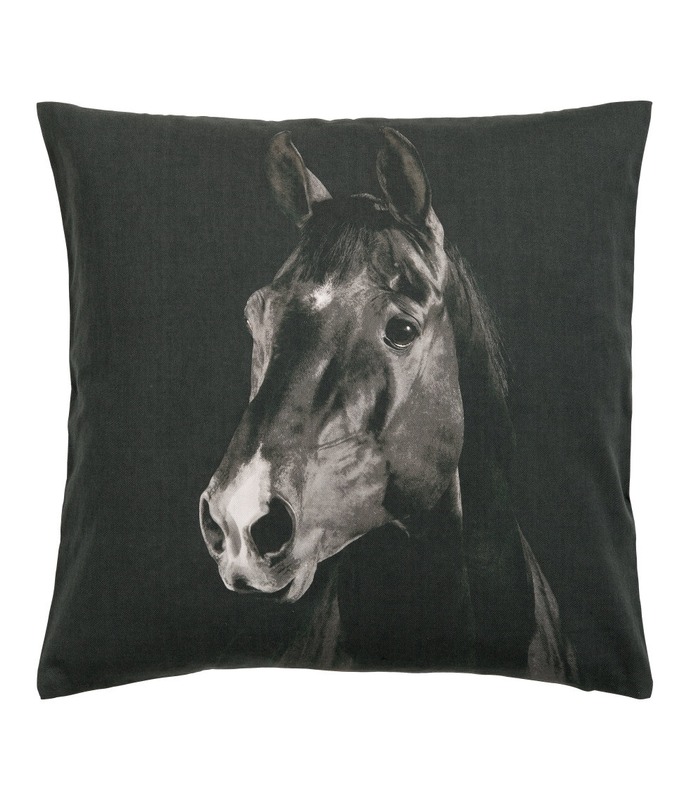 Love horses, love western, so keep that stuff coming! At Jan Theriot Designs in Warrenton they had some vintage soft washed amazing plaid flannel (westernish) shirts I bought…can’t wait for fall! I’m not guaranteeing the quality of a 5$ pillow cover, but we’ll see. Right? Those Indians are great, can you believe that I have 17 of them? I wanted to document as much as I could about them, so people would know. Just dropped my Pendleton blanket coat at the tailors to have the sleeves let out……ready next week, so bring on the FALL. I’m so glad that we share the same tastes.